Mary Poppins Returns hits movie theaters on December 19th, so we made it a point to watch the original 1964 version recently. 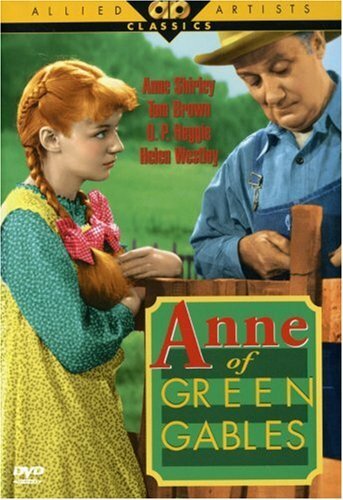 It came on the heels of watching The Sound of Music, Pollyanna and my all time favorite Anne of Green Gables. I was twenty years old when I first heard of the classic children’s book Anne of Green Gables. A college roommate referred to the series in a conversation and several other girls swooned. I felt like a leper in the room. “Who is Anne of Green Gables?” I asked. “Shuuut up! You don’t know Anne of Green Gables? She replied. Having grown up in Guam, I was used to the disparity of childhood experiences. After moving to California, my island upbringing seemed marked more by culturally American things I didn’t experience as a child, like Girl Scouts, soccer or classic children’s books. Lucky for me, my roommate had the entire mini series on VHS tapes. For three days, I binged watched it between classes in our dorm room. It seemed the whole floor knew I’d become addicted. Some would stop in with popcorn and watch a few episodes and then off they went, but I couldn’t peel myself away. The main character Anne Shirley is a highly imaginative, overly talkative and joyous orphan who seemed to have domestic mishaps follow her wherever she went; like dyeing her hair green while intending to dye it black or accidentally getting her best ‘bosom buddy’ drunk by giving her what she thought was raspberry cordial but turned out to be currant wine. She was fierce and unapologetic to people who spoke cruelly of her appearance, but her good nature and wild imagination would eventually win them over. Thinking back to some twenty years ago when I first watched it, I remember laughing hysterically, but I also cried deeply. It’s as if I was grieving a childhood anguish. Like many girls, I saw myself in her and saw a great deal of my grandmother’s no-nonsense practicality in Marilla, her caretaker. But what I didn’t know then, until I watched it recently with my own daughter, is that I had yearned for the tenderness and empathy bestowed upon Anne with an “e”. Adults who listened to what children had to say and showed tenderness and compassion felt decidedly American to me. I think I coveted every 1980s sitcom like Punky Brewster, Growing Pains and Family Ties for this reason. About a month ago I had made a list of classic movies to watch with my daughter. I wanted to her to see that girls were more than Disney heroines and princesses and just maybe, she’d find a little bit of herself in Anne with an “e” too. The Sound of Music (1965) *Now singing the soundtrack on the way to school daily. What are your all time favorite classic movies? Tell us in the comments so we can add it to our own lists. Thomasina is a good Disney movie about a cat in Ireland. Tender movie. Lady and the Tramp Animated Disney movie about a cocker spaniel and a Heinz 57. Auntie Mame ( 2 versions, Roselyn Russell; Luciele Ball is 8n the musical version).